Okay guys. I've got a real banger for you. Selling to pay off student loans. Sick, right? My loss is your gain. HATE to say I have to sell what's been my favorite bike over the last few years, my custom build REEB Dikyelous 29er steel hardtail with a Gates carbon belt drive. This thing is insane. So insane that I sold my Commencal Meta SX when I bought it because this thing rode better. I was the biggest XC hater until I rode one of these. Absolutely mind blowing. Feels like a big dirt jump bike that climbs with basically no effort. Super slack for downhill, but steep enough seat tube for climbing. I built it with downhill in mind, as that's my background. Heavy duty parts that aren't super heavy. Spec'd with the Gates carbon belt drive, this bike is near silent having only 2 cables. Super smooth feeling on this belt. Haven't ever had it slip or stretch or anything. Built this bike with short chainstays in mind so I got the shortest belt I could in order to keep the wheel slammed. Is a solid middle ground gear. Size medium. I'm 5'11 with long legs and it's awesome. Definitely feels more like a large frame but since it's so slack the reach isn't bad and you can just lower the seatpost. You can run this geared or single speed. Dropouts work for both. Will include the brand new Saint chainring with purchase in case you decide you wanna run gears. I built this bike from the ground up for around $4500 new a few years back. It's been well ridden, but also well loved. It's been to Florida, Sedona, and all over Colorado. Had insane amounts of fun everywhere. Parts list: Frame: REEB Dikyelous 29er steel size medium (hand built, retails for $1500) Fork: Pike 150mm Wheels: Mavic Crossmax XL (tubeless) Cranks: Shimano Saint Brakes: Shimano XT (front), Avid Elixir (rear) - comes with the old XT caliper. Read below for more info. Seatpost: X-fusion dropper with lever under seat Seat: Chromag Trailmaster Cassette/CR/belt: Gates carbon Handlebars: Smac Innovations uncut 32" .5" riser (I think) Stem: Loaded 70mm Headset: FSA Tires: Ardent back, Mavic front (pretty warn, pictures included) There are definitely some scratches on the bike since it was my main ride for awhile. A couple very small rust spots (but every single steel frame on earth has rust under the paint) that do not affect the frame in the slightest. I tried to include photos of every large cosmetic scratch. NO cracks or dents anywhere. Frame is solid. Bike can be set up tubeless but currently is not. Will include some sealant with purchase. 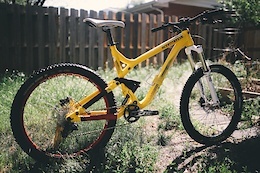 The fork was rebuilt about halfway through this bike's life with new lowers. Front wheel replaced as well. Reason being that the front wheel got backed over by a car and in turn ripped off the brake from the lowers of the pike. 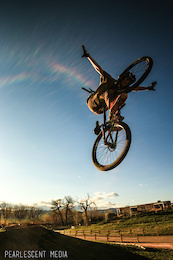 It was checked by an employee of Dirt Labs in Boulder and the fork was absolutely fine. Just needed new lowers. So I rebuilt it and got a new wheel. Never fixed the brake that got ripped off, and can't find the lever, but happy to include the caliper with the purchase. Long story short, bike had some replacements so it's going to be in better shape than it would be had this stupid event not occurred. Happy to ship to the 48 states at buyer's expense. Would rather keep it local with somebody who knows how hard these things rip. Not in a huge hurry to sell this thing, I want to see it go to the right home. No low balls. Come check it out. Happy to let you ride around. Hit me up if you have any questions or would like more photos/info. Happy to help! I've got a really good shape Colnago WC 58cm in yellow. This color is no longer manufactured and I believe it's the best color they've had yet. This bike rips. Feels really snappy but stable enough for high speeds on the road. Very light for a mostly stock build. Was used for recovery about a year and a half ago almost entirely on road for about ten-twenty rides. Was used as a commuter after that for half a summer and left inside always. Bike is in amazing shape minus some cable rub on the head tube and a couple small scratches here and there. Was never crashed nor beaten up. Really light riding. Tires still have some hairs on them. Selling because I just recently graduated and have loans to pay. Wish I didn't have to sell it! Only part I swapped out from the stock build was the stem. Replaced the super long stock stem with a Loaded 70mm stem in silver. I'm 5'11 and the reach with the stock stem was pretty huge. Fits perfect now. This bike would for sure fit anybody from roughly 5'8 - 6'3 (with original stem, included in purchase). These are the specs on the current build, pretty sure it's exactly the same but a couple years older. If you want me to double check anything, let me know. Did a quick look over it and it seems correct. Bottom Bracket FSA Brake Calipers SRAM DB BB5 Road Platinum Cassette Shimano 105 5800, 11-28 Chain Shimano CN-HG600 Crankset FSA Omega CK-C4001SS, 46/34 Fork Colnago World Cup Disc Frame Material Aluminum Front Derailleur Shimano 105 5800 Handlebar Deda RHM EL Headset FSA No.63/51E Pedals Not Included Rear Derailleur Shimano 105 5800 Rotors SRAM, 160mm Saddle Selle Italia Q-Bik Seatpost Colnago Alloy Shifters / Levers Shimano 105 5800 Stem Deda EL Tires Kenda Kwicker, 700x32c Wheel - Front Alex Race 24, Formula DC-20, 6 Bolt Wheel - Rear Alex Race 24, Formula CX-22, 6 Bolt Pictures were taken today (1/27/2019). Let me know if you need any other photos or specs. Again, LOADED stem on bike currently. Comes with original Deda EL stem that's a good bit longer. Not sure on exact length, I'd guess around 100mm. Willing to ship anywhere in the US. Buyer pays shipping. Should be about 100-150. Not in dire need of selling so I'm not going to take any lowballs. Disagree completely. Comments like this don’t encourage women to keep pushing and are pretty sexist. There was a huge crowd for this event and a lot of girls just out there having a good time. Would girls want to keep pushing the sport when people tell them they aren’t as good as men? Of course not. That’s why everybody competing at this jump jam are in fact pushing the sport because people like this make women want to not ride anymore. I agree. I shot it, but showed up late due to bad coordination. These girls were throwing down and I was so sad to only be there for finals. Definitely didn’t get the air time they deserved. 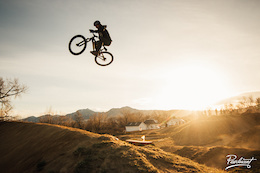 One of the most high spirited events of all of Crankworx. There are a lot of sarcastic comments in this thread. Durango was actually one of my personal favorite stops. A lot more than xc there! Amy did not get paid by Steamboat to say that. Her words, not theirs! @kjjohnson: I hate seafood and Carbondale did sushi right.